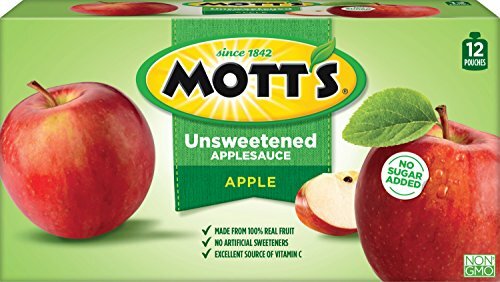 Mott’s Unsweetened Applesauce Pouches are a convenient way to enjoy a great snack on the go. These portable pouches pack lots of natural apple flavor into every serving, with a taste the entire family will love. These 3.2 ounce pouches are ideal for healthier mess-free snacking for your active kids to enjoy on the go and are a great addition to lunchboxes. Mott’s Unsweetened Applesauce is an excellent source of vitamin C and has no added sugar. Treat your family to the classic taste of Mott’s Unsweetened Applesauce Pouches. Label: Dr Pepper Snapple Group, Inc.